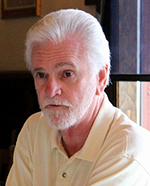 Roy Plummer is a retired human resources executive who has worked for several Fortune 100 Companies. He was Senior Human Resources Business Partner for the Lockheed Martin Integrated Systems & Global Services (IS&GS) division, a leading U.S. Government provider of classified programs within the intelligence, surveillance, and reconnaissance field. Roy served as Regional human resources, project management, and material services roles for the GE Nuclear Energy business. He was responsible for Employment, recruitment, and EEO management positions with GE Government Services and the RCA Service Company. His early career positions were as an industrial engineer for Oscar Mayer & Company, Eastman Kodak, and the U.S. Continental Army Command Maintenance Engineering Agency. He was employed as a Six Sigma Black Belt quality and process improvement consultant for GE and their customers nationally. He conducted root cause analysis studies toward resolving operational issues that resulted in major savings and risk avoidance/reduction outcomes. Roy is a graduate of Pennsylvania State University with a B.S. in Industrial Engineering. He completed the ROTC program and was commissioned in the U.S. Army Ordnance Corps. He completed his active duty commitment while assigned as a First Lieutenant with the Korean Military Advisory Group (KMAG) in Pusan, Korea. As a youth he was active in the Boy Scouts of America (BSA) where he became an Eagle Scout with a subsequent leadership role as a Scoutmaster. Although retired, Roy is actively engaged in several volunteer and community service endeavors that include: Director at the Roebling Museum, President of the Mount Holly Rotary, President of the St. Mary’s Church Seniors Club, Social Director and former treasurer for the Mansfield-Springfield Seniors, Retired & Senior Volunteer Program (RSVP) youth mentor, Freemason and York Rite Mason.